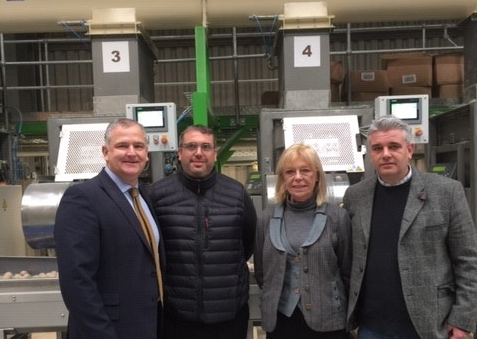 L-R: Ian Green, Relationship Manager, HSBC UK – Matthew Bryant, Operations Director, Harvest Pet Products – Angela Phillips, Finance Director, Harvest Pet Products – Jon Bryant, Managing Director, Harvest Pet Products. The firm, which specialises in wild animal food and seed, has used the funding to invest in a new, specialist facility for manufacturing fat ball bird food within the UK. Fat balls, a favourite food of wild birds, have traditionally been imported as a high-cost item from Europe. However, importation costs of bird food to the UK has significantly reduced due to changes in the international marketplace. The weakened pound has created a ‘gap in the market’ for the business to purchase fat ball bird food at a reduced rate. Angela Phillips, Finance Director, Harvest Pet Products, said: “Harvest Pet Products has enjoyed four years of successful growth and is ready to push on to the next phase of the business cycle. “With the weakened pound making the importation of fat balls from Europe less expensive, we have increased our manufacturing capability of this product to meet rising demand. This move is part of an on-going expansion strategy, which will see us target new market places and territories.